Your Wish - Our Objective! Your Guests – In good hands with us ! For your Wishes - We set everything in motion ! Your business deserves a professional chauffeur company to transport you and your clients in a safe, punctual and stylish way. The limousine & chauffeur service from driveLINE is the perfect choice for reaching your destination with sophistication and class. Our carpool with limousines and experienced chauffeurs are available for all kinds of travel, private or business needs. For special events, such as marriages and Gala Events, we offer a variety of representative and suitable limousines. At driveLINE, we believe in providing the best possible service for our clients. Our first goals are confidentiality, reliability and punctuality. We put your well-being to the highest of standards. 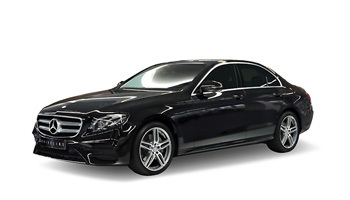 Our fleet of cars are kept impeccably clean – We have on offer a Mercedes Benz S-Class, a VW Phaeton and Mercedes-Benz V-Class to match your specific tastes and requirements. We know the surrounding area of Stuttgart, Frankfurt and Munich very well and have on offer sightseeing tours with local partners. Get in contact today and we will give you the very best experience! 5 out of 5 stars. Based on 13 votes in 13 reviews on Google My Business. We used Driveline limo for my best friends wedding. Great services, it added something special to day. We would completely recommend them to anyone. Thanks guys! Ich hatte den Service für einen ausländischen Kunden gebucht. Von meinem Kunden bekam ich eine super Rückmeldung, er war sehr zufrieden. Top Service, zuverlässig, flexibel, angenehm, seriös Preis/Leistung stimmt. Wir waren zusammen mit unserem Hauptdarsteller Simon Licht für die Kinotour von LAIBLE und FRISCH - DO GOHT DR DOIG unterwegs, der am 28.12.2017 in den Kinos gestartet ist. Andreas Belser hat uns schnell und zuverlässig an sämtliche 5 Kinos an diesem Samstag gefahren. Seine höfliche und zurückhaltende Art haben uns das Gefühl gegeben, genau mit dem Richtigen unterwegs zu sein. Wir haben den Tag mit ihm gemeinsam sehr genossen. Excellenter Dienstleistungsanbieter mit kompetentem Chauffeurteam. Perfektion, Diskretion und Professionalität zeichnen dieses Unternehmen aus. Die Chauffeure weisen ein gepflegtes Erscheinungsbild mit einer besonders souveränen Ausstrahlung auf. Die Chauffeur & Limousinfirma Driveline kann ich Geschäftsleuten, VIPs und hochrangigen Personen des öffentlichen Lebens nur wärmstens empfehlen. Zuverlässiger und netter Service. Rundum zufrieden. Vielen Dank! The limousine service of driveLINE allow you to reach your destination ready and relaxed, even in urban traffic. You should use this stylish alternative to the classic taxi ride! 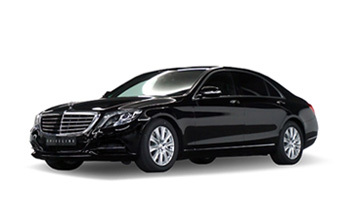 The driveLINE chauffeur service provides you with an experienced chauffeur, with the best local knowledge, so that you do not have to worry where to go. You will reach your destination ready for anything. 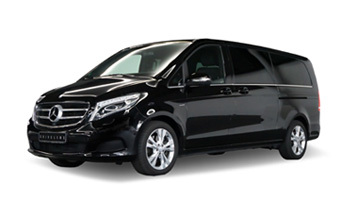 On short notice you require a professional vip chauffeur service for management or important guests or for receptions. No problem is too small for us! Book our services for all your needs. Discover new places with our service. Provide your guests an unforgettable experience visiting attractions in our region. Book our sightseeing service for short tours, city tours or excursions. Flights are normal in everyday life, therefore why not take advantage of the time before with the driveLINE airport transfer service? You may prepare for a business event or simply relax a bit before or after an exhausting travel. driveLINE is a member of the professional organization National Limousine Association. Take advantage of our connections and profit from our expertise! Due to our cooperation with other firms and partners in our profession both in and outside of Germany and Stuttgart we are in a position to offer you unequaled quality and rapid solutions.